US representative for Syria says there is "lots of evidence" that chemical weapons are being prepared by Syrian government forces in Idlib. Jim Jeffrey, the new US representative for Syria, said on Thursday there is "lots of evidence" that chemical weapons are being prepared by Syrian government forces in Idlib region in northwest Syria. Jeffrey warned that any attack on the last big rebel enclave would be a "reckless escalation," reported the Reuters news agency. "I am very sure that we have very, very good grounds to be making these warnings. Any offensive is to us objectionable as a reckless escalation," Jeffrey told reporters. "There is lots of evidence that chemical weapons are being prepared." Jeffrey said any offensive by Russian and Syrian forces, and the use of chemical weapons, would force huge refugee flows into southeastern Turkey or areas in Syria under Turkish control. Jeffrey described the situation in Idlib as "very dangerous" and said that Turkey, which has backed some rebel groups in the region, was trying to avoid an all-out Syrian government offensive. "I think the last chapter of the Idlib story has not been written. The Turks are trying to find a way out. The Turks have shown a great deal of resistance to an attack," he was quoted as having said. Meanwhile, the US Ambassador to the UN Nikki Haley warned Syria that an offensive on Idlib would be reckless even if chemical weapons are not used. “Today’s Security Council session is devoted to chemical weapons; but make no mistake, an Assad regime offensive on Idlib would be a reckless escalation even if chemical weapons were not used. It is up to Russia to keep this from happening‎,” said Haley. “If the past is any guide, the Syrian and Russian attempts to blame others for the use of chemical agents is an indication that the Syrian regime still believes it can use these horrific weapons with impunity and an indication that the Syrian regime may be preparing to use these horrific weapons in future attacks. No one – I repeat – no one is fooled,” she added. “We have a message for the Assad regime and anyone contemplating using chemical weapons in Syria. In the past 18 months, I have stood on this floor twice, promising that the United States would respond to the use of chemical weapons in Syria. Both times, this administration followed through. The United States and its allies forced the Assad regime to pay its price for its crimes. So we want to take this opportunity to remind Assad and his Russian and Iranian partners: you don’t want to bet against the United States responding again,” stressed Haley. 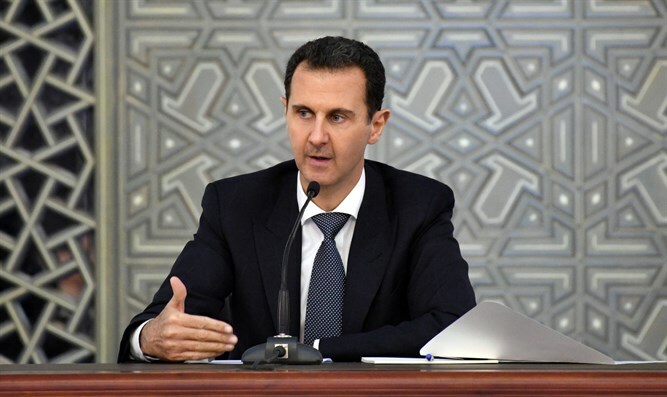 Syrian government forces are planning a phased offensive in Idlib and surrounding areas held by insurgents fighting President Bashar Al-Assad, who has been backed by both Russian and Iranian forces in the country’s civil war. On Tuesday, the White House warned that "millions of innocent civilians are under threat of an imminent Assad regime attack, backed by Russia and Iran." Trump himself warned Assad on Wednesday that "the world is watching" as government forces prepare to assault Idlib.